Despite lackluster ratings that made EP Michele Fazekas think it could be cancelled, ABC‘s Marvel’s Agent Carter TV series is rumored to be renewed for a third season. NerdReactor.com reports a studio source has leaked the network’s plans to pick up Agent Carter, for season three. Hayley Atwell stars as Peggy Carter. The cast of Marvel’s Agent Carter also includes: James D’Arcy, Enver Gjokaj, Wynn Everett, Reggie Austin, and Chad Michael Murray. Atwell has also been cast in the Conviction pilot at ABC. The Agent Carter star says if Conviction is ordered to series, it will not conflict with Marvel’s Agent Carter. Check it out, here. While Fazekas sounded grim about Agent Carter’s chances for a third season, she did still tease what fans can expect from Marvel’s Agent Carter, if season three goes forward. Read about it, here. Last week, ABC handed out an early renewal to sister-series Marvel’s Agents of SHIELD. That show was one of 14 TV series to get an early renewal from ABC, for the 2016-17 television season. The other lucky Alphabet Network shows are: America’s Funniest Home Videos, The Bachelor, Black-ish, Dancing with the Stars, Fresh Off the Boat, The Goldbergs, Grey’s Anatomy, How to Get Away with Murder, The Middle, Once Upon a Time, Scandal, Shark Tank, and Quantico. The ratings for season two of Marvel’s Agent Carter were not strong. Over the course of the second season, the show averaged 0.79 in the 18-49 viewer demographic. The average total audience size in season two was 2.681 million viewers. The only lower rated scripted ABC shows are Wicked City, which ABC cancelled after only three episodes and Galavant, which airs during the winter hiatus. Have you been watching Marvel’s Agent Carter TV show? 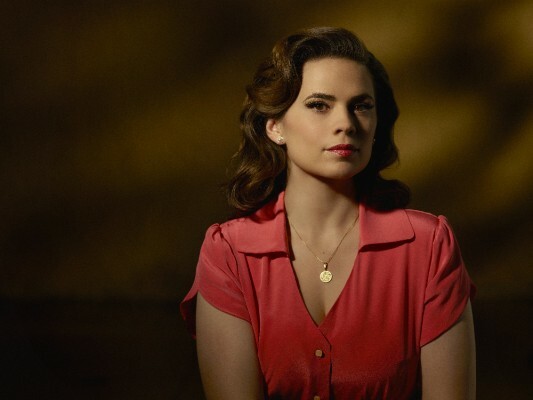 Do you expect ABC to cancel Agent Carter? If its renewed, will you watch the third season? Let us know, below. Great show! Classy smart caracter that is not built like a skeleton and actually looks like she can beat up guys twice her size. Very good story and great acting from all of actors. I do not understand why do they even think about cancelling it. Why do they always want to take off good shows. More advertising might bring them up before it comes back on. I Love this show. I hope you renew it I will be upset if you dont. Give it another chance. You should renew Agent Carter. I really want to know want happens between Carter and Sousa and what happened to Jack at the end of the last episode. The show will continue to get more views because of CACW and we all want to know about Sharon. Please renew Agent Carter, it is a great show. Beside if does not conflict with her new show it could bring more viewers to Agent Carter. After watching Civil War I want to know about Sharon Carter. You know guys, sometimes a show takes a bit of time to find it’s audience , and you network suits have bad track record of cancelling shows too soon ( read : Firefly , Enterprise , Kolchak:The Night Stalker , etc. ) They almost cancelled Xfiles the first season . Learn from your mistakes , guys . SCI-FI is growing trend. Keep Carter. Plus she is a FOX…screw the 18yo’s that havent a clue. The older Gen knows better. KEEP CARTER!!! Please renew Agent Carter!!! My family loves it! Peggy & Jarvis, Howard Stark, Sousa, even Jack. I loved the transition to LA and all the sunlight & glamour. And I totally fell for Mrs. Jarvis! She’s the perfect girl-friend for Peggy. If they need to double the episodes in a short time – I’ll take it. If they move to summer, I’ll take it. We just want Peggy! Agent Carter is the best show on TV. The entire ensemble of actors are amazing. No other show can combine wit, action, drama, and comedy. I enjoy Agents of Shield, but Agent Carter has more personality. I love the period costumes, sets, and music. I am learning facts about the 1940’s that I never knew (Ties were short, because cloth was rationed). Please renew Agent Carter. What other show has as many female showrunners, writers, special effects directors, etc. Haley Atwell and James D’Arcy can say more with their eyes than any “couple” on tv. Yes please renew, love the show!